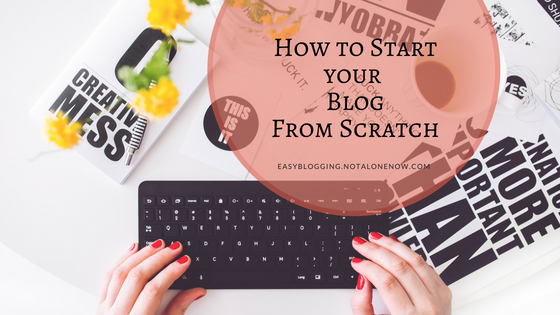 If you are someone who is new to blogging & Just want to try it out as your passion & not expecting a revenue out of it then starting a blog might be piece of cake for you. But if you are someone who is serious about blogging & want to make a living out of it or use it as a medium for extra money or want to build your business through it. Now that is where all the hustle-bustle comes! Download the checklist for creating your blog/website here. Once you have decided upon your niche then the next thing is the selection of a domain. It is one of the most important & hard things to do because when you get to finding yourself a domain many times the domain you have in your mind, you have narrowed down after lots of brainstorming is already acquired (trust me, it happens a lot!) which might lead to disappointment but that doesn’t stop you. One last time check if it suits well to your niche & you want it to be your web identity because sometimes after lots of failed attempts we grab a domain in hurry & overlook the fact that is it the one? & end up regretting (been there, done that). Of course, you entered it for checking availability it means you choose it but still, it won’t hurt to be sure. One more thing to keep in mind while selecting a domain is to make sure that no other version of your domain has already been registered. Suppose you are registering for .com make sure .org or .in or any other extension of your domain are not already taken or else it will impact really bad on your website. There are many platforms that give you a free domain, try to avoid those domains. If you mess up during the selection of the web hosting your website/blog will suffer big time. If the domain is your web address than web hosting is the hostess that will make sure the environment on your site is user-friendly. Web hosting companies make sure that your site or blog is available to your audiences. They should guarantee that your site will be online, easily accessible & won’t be unreachable due to their server error’s & also that your site won’t be taken down for long period of time for maintenance. Make sure that the company you are considering has easy & reliable technical support. Managing a site is a huge deal & sometimes error happens & it is ok but correcting those error’s & getting everything back together ASAP is Important. So that your audience’s experience on your site stays good & correct web hosting will do that for you. Choose a web hosting company that will provide 24/7 technical support & are reachable 365 days So that the problem could be solved ASAP & your site will be up & running again! The data which you send to your visitor’s browser when they access your site is known as bandwidth. Keep in mind to opt for unlimited bandwidth web hosting packages because many web hosting companies have limited bandwidth & if you have a decent amount of visitor’s it might be no problem for now but if your page has heavy content of image/video’s/files & you find your visitor’s increasing it might lead to exceeding bandwidth which in turn will lead to paying extra or in rare cases your site will be taken down for some period of time. When selecting disk space, the requirement of space is entirely your call. if you are still growing you might go with limited disk space so that you don’t waste money & buy huge disk space that you might not use. If you are someone who might have huge traffic then opt for unlimited disk space which many web hosting companies provide at a reasonable price. Being secure online & having web security is not only good but also important if you want your site to be indexed by Google & reach many people, nowadays Google has started considering sites without SSL certificate as harmful & even warns its user’s before entering those sites stating that the sites are not secure. So creating a secure site is a must. Many web hosting companies provide SSL certificate with a little extra charge whereas there are some that provide Free SSL Certificate included in their package. So, take your pick & choose wisely! While Selecting a web hosting package make sure that they give you full access to the C-panel so that it will be easy to manage your site & server, it will also allow you to add new features, make changes to your site & install desired software. The web hosting company should also provide you with email accounts, these accounts vary slightly from that of your regular email accounts as these will have your website domain as their email address for ex (xyz@domain.com) these email-ids will not only make you look professional but also will make your customer trust you. some of the links are the affiliate but the review is absolutely authentic! 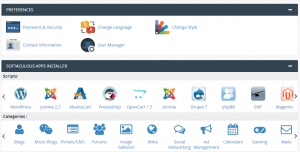 Once you purchase your web hosting the next step up is connecting domain & web hosting after that is taken care you have to login into Cpanel> App’s Installer >Wordpress> give the details like Admin Name & Password. That’s it you are done! Many web hosting provides 1 click easy download. So downloading & installing WordPress is really not a big deal. A blog is not completely ready until & unless it has content that will keep your audience hooked. Social media is becoming more & more popular every single day so why not use it? Today almost every person has access to social media, you might rarely find someone without having a social media account & that is what you have to use. Social media can be used as the best medium to drive traffic to your blog & also to grow your brand/business. The first & easy way to get traffic from social media is having an impactful social media presence, Go set-up a social media page & try to reach your target audience. There are many social media platforms that you can use like -Facebook, Twitter, Pinterest, Youtube, Google+, Instagram & list just goes on( I will be making separate posts on how to use each platform & also tips & tricks to drive more traffic to your blog, So if Interested? stay tuned. Just because lot’s of platforms are available doesn’t mean that you go ahead & make a page, group or community on all platforms. It won’t be just lot’s of work & stress but also it will be useless. If you try to cover all platforms at once you won’t be able to concentrate clearly & won’t be able to get good engagement. It’s better If you concentrate more on your target audience, analyze their behavior & know on which platform are they more active & try to make your presence know to them there, Reach them when & where they are comfortable. So follow these steps correctly & your blog will be ready to go.